Pre- and Post-Nuptial Agreements « The Law Office of Linda A. Bailey, P.A. Marriage is a life-changing decision with complex legal ramifications – one of the most important contracts a person will ever sign. Entering into a marriage without a complete understanding of the legalities is like entering into a business agreement or signing a mortgage loan without having an in-depth knowledge of the terms or payment plan. In many cases, people do not even realize they are signing a contract when they get married, nor do they consider the consequences should they end that contract by divorce. Pre- and post-nuptial agreements detail the rules for property ownership, asset division, debt division and most other financial situations which occur during your marriage, as well as in the event of death or divorce. Agreeing now on the rules for your marriage is often the preferred way to resolve these issues, helping to prevent future litigation between your spouse and your heirs in the event of death, and between you and your spouse in the event of divorce. Pre-nuptial or pre-marital agreements are signed prior to a couple’s marriage; post-nuptial agreements are executed after the marriage occurs. 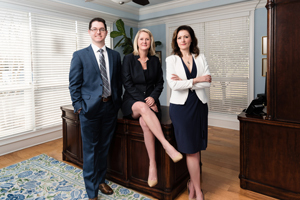 The family law attorneys at The Law Office of Linda A. Bailey have extensive experience in addressing all facets of drafting and executing pre- and post-nuptial agreements to help our clients protect their assets, define their legal rights and plan their futures. For marriages that occur later in life, one or both parties come into the marriage with significant individual assets, making the situation more complicated. Most individuals want protection for their hard-earned assets to benefit children of an earlier relationship, or want to ensure that they are not exposed to future onerous obligations which may delay or prevent retirement. Pre-nuptial agreements can also protect developing or on-going business interests or other financial interests, such as real property, stock or stock options, and other assets, in case of divorce or death. Although Florida permits pre-nuptial agreements to waive or limit alimony, a court is allowed to invalidate the alimony provisions under certain extreme circumstances. One example would be a long-term marriage, where one spouse is being left destitute under the terms of the agreement. Post-nuptial agreements. As with premarital agreements, most individuals entering into a post- nuptial agreement are seeking to protect assets or income in the event of divorce or death. If one spouse enters a business, for example, his or her business partners could require the spouse to sign a post-nuptial agreement to protect the business assets. A married couple might purchase a joint property together using their own, separate assets; a post-nuptial agreement could ensure that the spouses recoup their respective investment percentages if the property is sold. Post-nuptial agreements, in general, involve giving up legal rights. Before marriage, neither party has legal rights with regard to the other party. After marriage, each party’s legal rights are defined by law with regard to support and property division. Executing a post-nuptial agreement means one or both parties will give up some of these legal rights. Some post-nuptial agreements are used as “divorce planning” tools, where one of the parties is pressured into signing an agreement when divorce seems imminent. Careful scrutiny of post-nuptial agreements can protect the threatened party. Both pre- and post-nuptial agreements are extremely complicated and are governed by detailed statutes and case law. It is very important that an agreement be fully reviewed by an experienced attorney, such as the attorneys at the Law Office of Linda A. Bailey, prior to execution. There are very few circumstances in which the court will set aside an agreement, once signed. The court will not protect you from a bad bargain. Competent and experienced legal advice prior to signing is imperative to protect your rights. 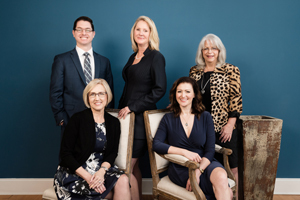 The family law attorneys at The Office of Linda A. Bailey have extensive experience in handling pre- and post-nuptial agreements to help our clients protect their assets, retain their legal rights and plan their futures.